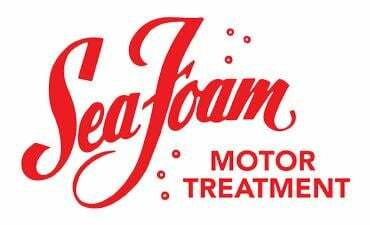 Pour Sea Foam in your fuel tank to clean & lubricate your entire fuel system. Safe & effective when used in all gasoline or diesel engines – just pour it in! 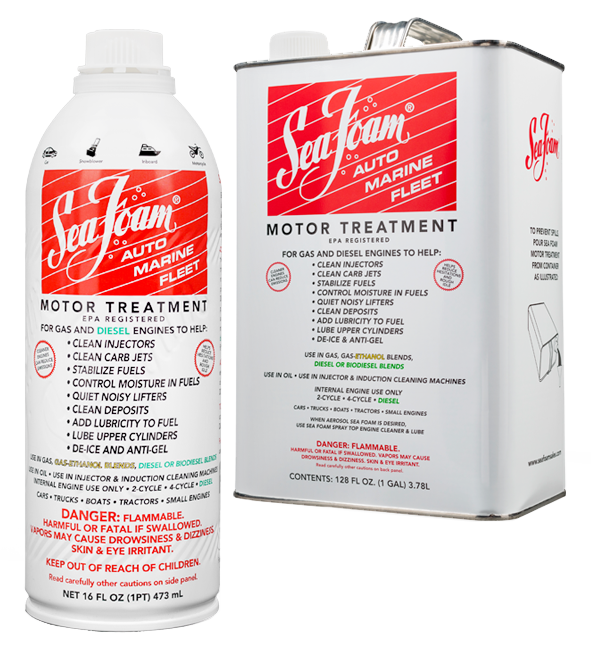 Sea Foam cleans harmful residues & deposits that can restrict oil flow & engine lubrication. Safe for all motor oils, conventional & synthetic. Sea Foam helps stored fuel resist evaporation, preserve ignition vapors & prevent gum & varnish formation. Stabilizes fuel up to 2 years. For regular fuel system maintenance, add 1 ounce per gallon of fuel. For cleaning, use 2 or more ounces per gallon – the more you add to fuel, the better it cleans! Don’t worry if you exceed these amounts: Sea Foam only contains petroleum-based cleaning and lubricating ingredients that CAN’T HARM your engine or fuel system components. Add 1 ounce for each quart of oil in the crankcase. Just remove oil filler cap and pour directly into the crankcase. To stabilize fuel for storage, add 1 ounce per gallon of fuel. After stabilizing fuel, run the engine long enough for the treated fuel to work all the way through fuel injectors or carburetor passageways. For cars & trucks driven regularly, put 1 to 2 cans of Sea Foam in your fuel tank every 3,000 miles. For engine equipment used regularly, add 1 ounce of Sea Foam per gallon to a fresh tank fill every 3 months or sooner. For all other engines & fuel tanks (not used regularly): Add Sea Foam to every tank of fuel. Sea Foam can be added at any time during the oil interval. For best results, we recommend adding to oil 100 to 300 miles before every oil change. Add to every tank of stored fuel. For best results, add when fuel is fresh.